Fishing is my favorite recreational activity. I dream of the day I can retire and fish everyday. I am a native North Dakotan and fishing all the lakes and rivers is my dream. I spend most of my weekends during the summer on the McClusky canal near my hometown of McClusky. 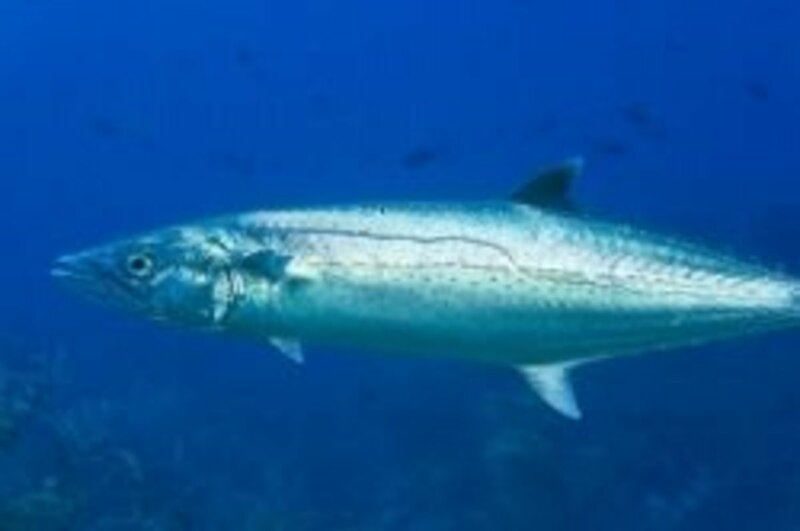 I like to fish with a live bait and a bobber as well as cast and retrieve lures. 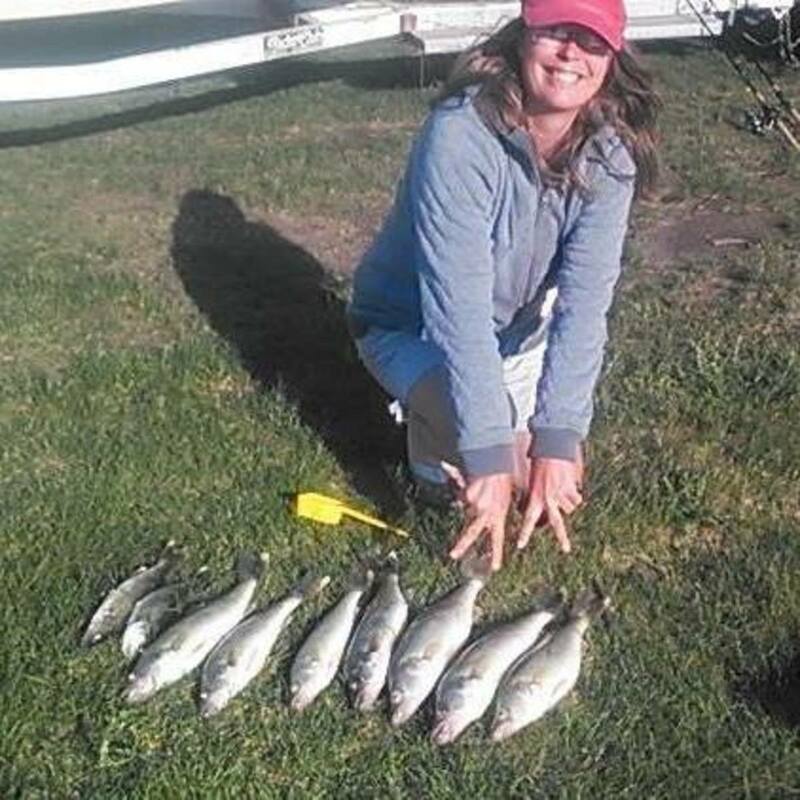 Have you had luck fishing in ND? Or have you been skunked? I love to fish and would love to try new places! Give me a shout out! There are five species of fish I angle for in this area of the canal. The area I describe is from South Hoffers Lake at 7th St NE to the McClusky Canal at 1st St. SE, known locally as Helm's Bridge. The McClusky Canal was built in the early 1970s. Its original purpose was to irrigate the farmland in central North Dakota. It was only recently that some farms have begun drawing water from the canal. What the McClusky Canal has done is provide 75 miles of new recreational opportunities for North Dakotans and visitors. Much of the canal is accessible to the public, and many lakes are sustained by the fresh water flowing in from Lake Audubon. The flow of water is controlled by gates along the canal. The gates I will be speaking about are just north and south of Highway 200. 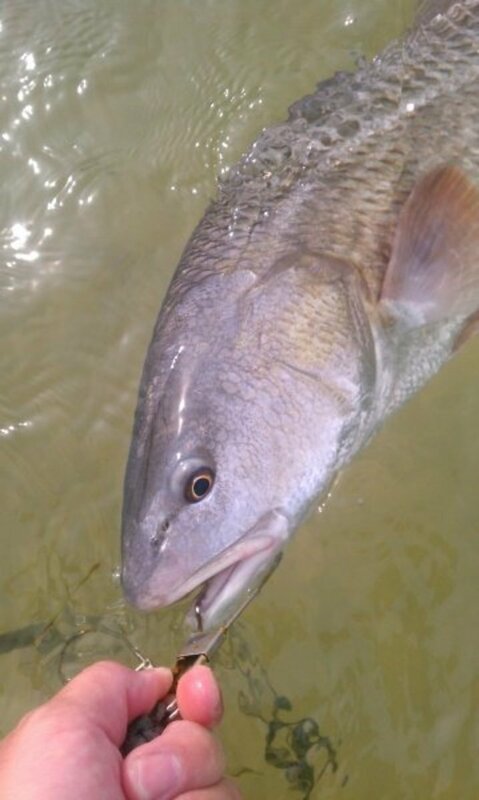 North Dakota Game and Fish have stocked the lakes and canal with a variety of sportfish that have established successful breeding populations. These are the lures that have been catching the big smallmouth bass on the canal. I either cast to the middle and let the lure drop to the bottom, or I cast right on the edge of the canal and reel in. The bass are loving these scented lures. May: As of the end of May, Walleye, northern pike and small mouth bass are being caught on a little bit of everything. I have had great luck with the "big three" fish using a lindy rig with minnows and a small bottom float. The canal has had the best action so far, with sporadic success where the canal runs into Hoffer's Lake. I have fished south of Highway 200 to the plug, and both the lake and canal north of Highway 200. The lake hasn't yielded me many fish. 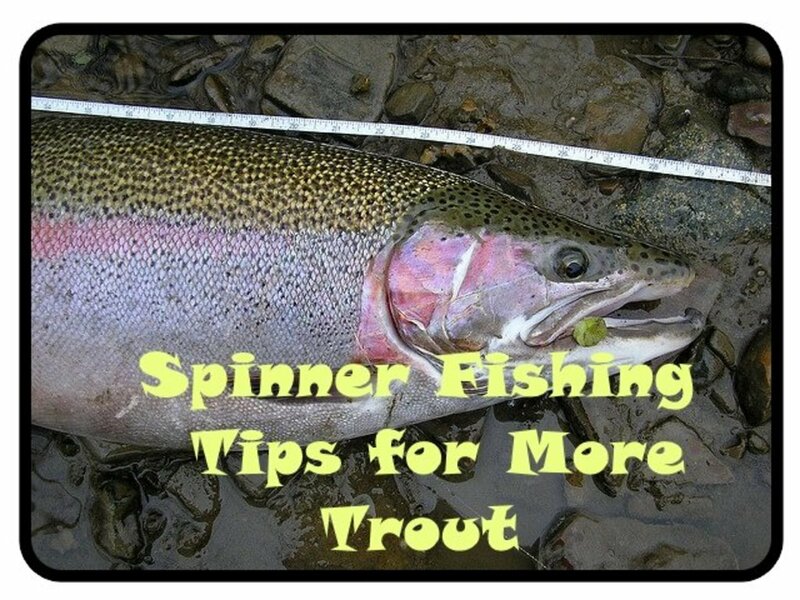 Friends are catching the walleye,northerns and bass on crank baits, spinners and spoons. Most of the fish are "eating size." A friend has caught both a 7 pound 11 oz pike and a 3 lb 12 oz small mouth bass. 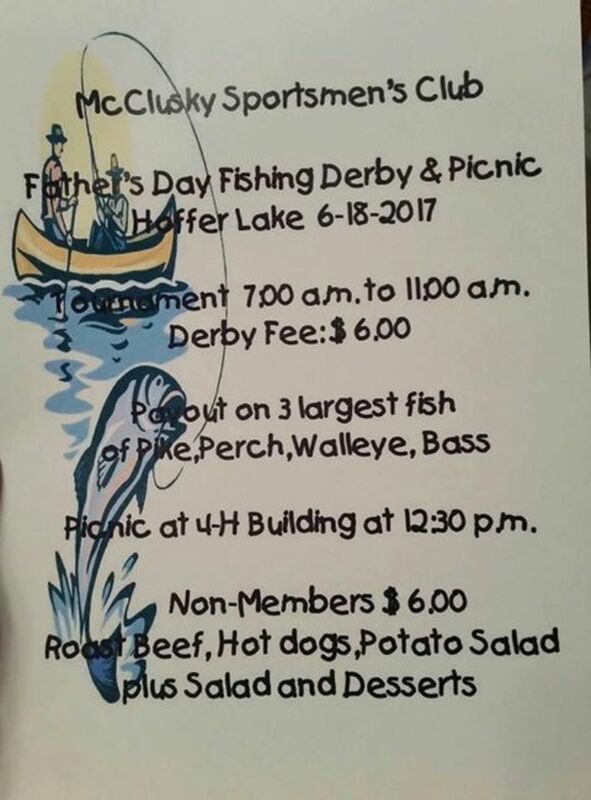 June: The local Sportsman Club holds a fishing tournament every Father's Day at Hoffer's Lake. The tournament starts at 7 AM and ends at 11 AM. The walleye are biting heavy at the lake and north of the plug. 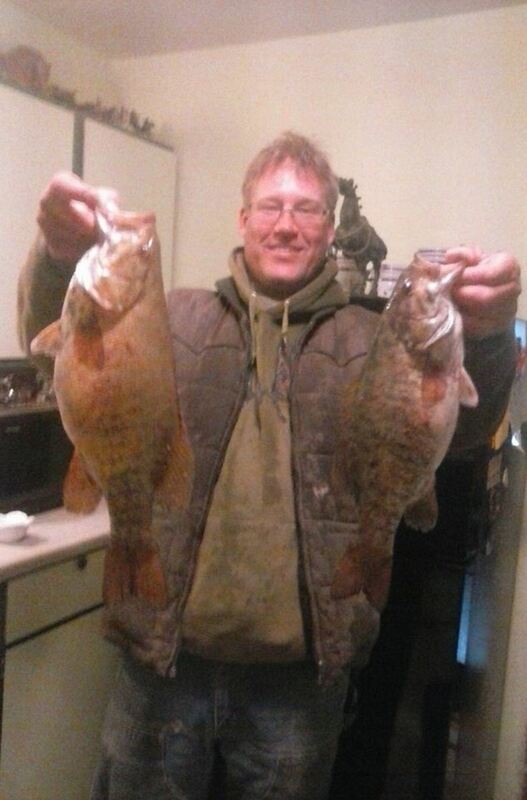 Smallmouth bass are starting to hit heavy in the same area on a variety of artificial and natural lures. Northerns are active too. Nice whopper size fish are being pulled in. No boat needed. Casting from the banks of the canal should yield plenty of fish. Things are a little slower south of the plug but should start picking up soon. July: The bass are hitting hard south of the plug on crankbaits and bottom rigs. The occasional walleye can be reeled in on crankbaits also. Smaller walleye are being caught trolling, with the occasional whopper. I caught a nice size bluegill on a bottom rig, but that is the only one I have seen all season. Pike catches appear to be down for everyone. I love to catch smallmouth bass. They are a great fighting fish and it's a thrill to land a nice sized smallmouth. My best smallmouth bass fishing is done on the McClusky canal directly north of Highway 200. I usually fish off the banks of the canal during the day. I prefer to use night crawlers, a hook and a bobber or a bottom rig. The areas near cattails or large partially submerged boulders held the most bass. I catch very few near the mouth of the canal where it runs into Hoffer's lake, and only small bass when I fish off the docks on the lake near the campground. The fishing is good south of Highway 200 from the cement gates to an earthen plug about one mile south of the gate. During the hottest part of the summer this part of the canal gets very weedy so keep this in mind when deciding what gear to bring. South of the plug to Helm's bridge at 7th St NE, the bass catch is fair with the best fishing happening mid to late summer using frogs - real and artificial as bait. I love my Ugly Stik rod. It is lightweight, inexpensive but strong. Most of the fish pictured in this article were all caught with my Ugly Stik. 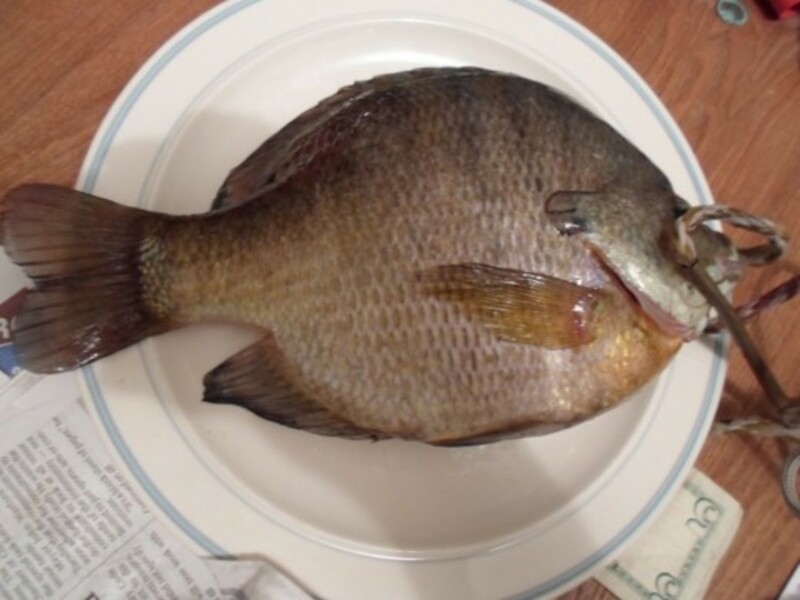 Perch can be caught year round in North Dakota. I tried ice fishing for perch on Hoffer's Lake this past winter and caught nothing. I have heard it has been years since the ice fishing has been any good in this area. 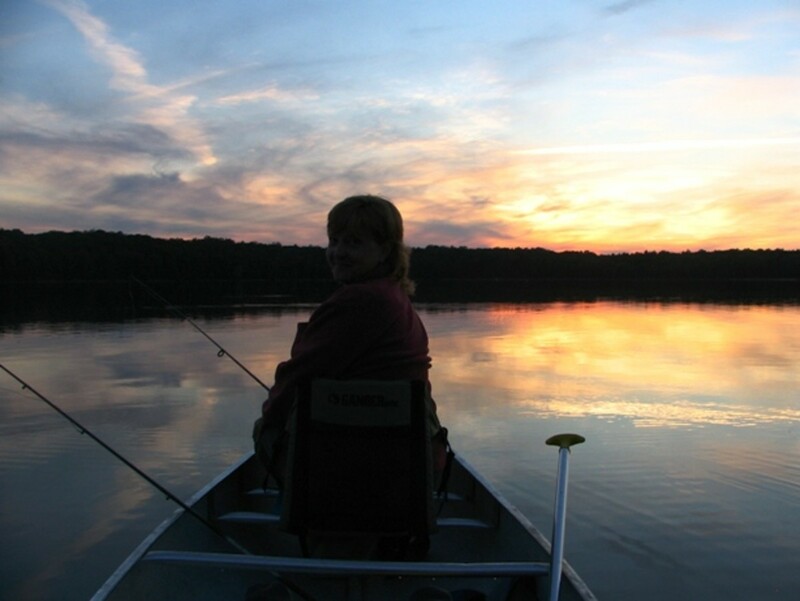 Smaller perch can be caught on the lake near the campgrounds using minnows or night crawlers. I catch perch on the canal north of 200 only when I fish 10 to 30 feet north of the cement gate. My brother catches a few of perch when trolling on his boat in the area from the gate to the area where the canal meets Hoffer's Lake. Near sundown, I catch perch on either side of the earth plug on the canal south of Highway 200. There are some nice sized perch in that area and they like night crawlers. What do you like to fish for in ND? Children love to fish for bluegills - they are a hearty little fighter and when they are biting the action is nonstop. There is little time for kids to be bored. The bluegill will attack even the tiniest bit of worm, so a little bait goes a long way - a plus when fishing with young children.. The number of fish in the canal from Highway 200 to Hoffer's Lake is fair. I caught the bluegill pictured above on the canal there. There are better numbers of bluegill south of 200 to the plug. For nonstop bluegill action, fish just south of the earthen plug. 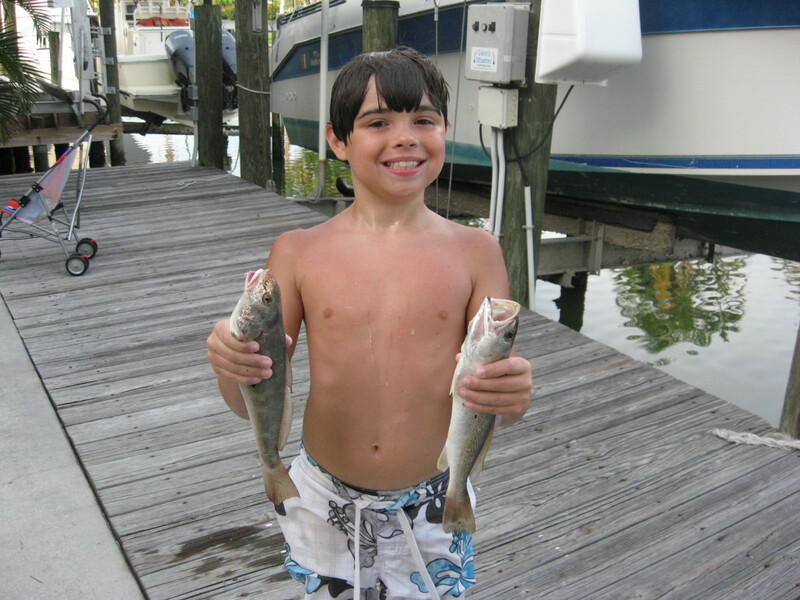 There is a sandy beach area perfect for the kids to fish. The bluegill are also thick off Helm's bridge where the McClusky canal intersects 2nd St. NE. I had no problem reaching my limit of nice bluegill within an hour. A friend and I made a trek to Lake Brekken north of Turtle Lake on July 17th. We used bottom bouncers from the boat with nightcrawlers. We caught numerous smaller walleyes and perch, and limited out on walleye in the 14" to 19" range. We also took home two good sized perch and a nice bluegill. Just a note: If this is your first time launching from the boat ramp, note that there are two ways to access the water from a boat. Do not use the south waterway as the water is very shallow. Northern pike can be caught anywhere in South Hoffer's Lake and the canal. 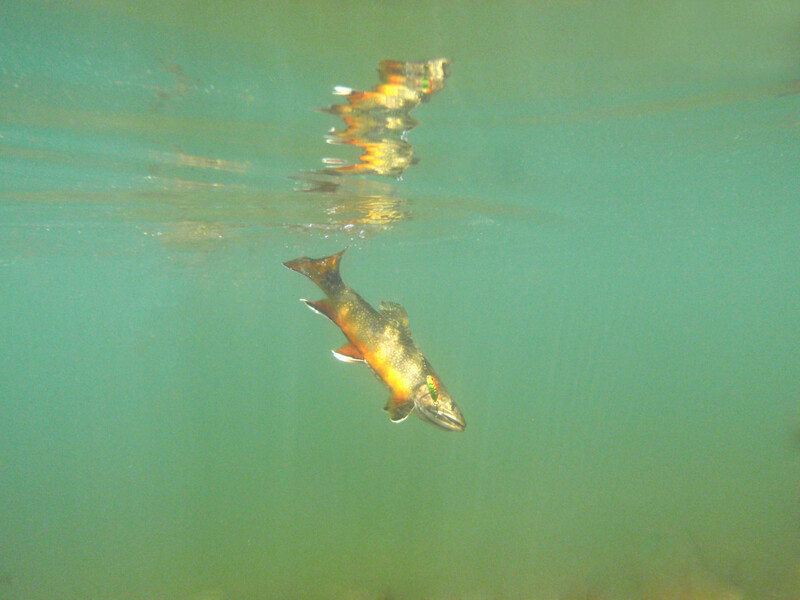 They hit most often while a fisher is trolling or cast fishing, but they also will hit on minnows while bobber fishing. 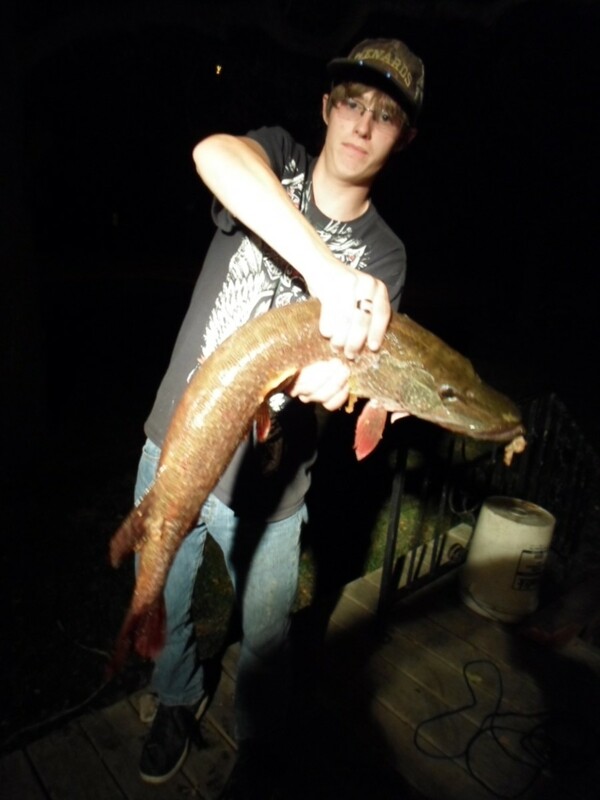 I did catch a northern pike one once on a hook baited with a night crawler, but that doesn't happen often. My nephew is the avid northern pike fisher in the family. He caught the 10 pound pike just north of the cement gates on the north side of Highway 200. He prefers to cast fish and he caught this northern with a yellow worm lure and a spinner. I have caught a few smaller northerns while trolling on the canal using the same yellow plastic worms, bottom bouncer and spinners. My cousin has caught a few off Helm's bridge using live frogs as bait. A few friends caught northern pikes using smelt while ice fishing on Hoffer's Lake this past winter. 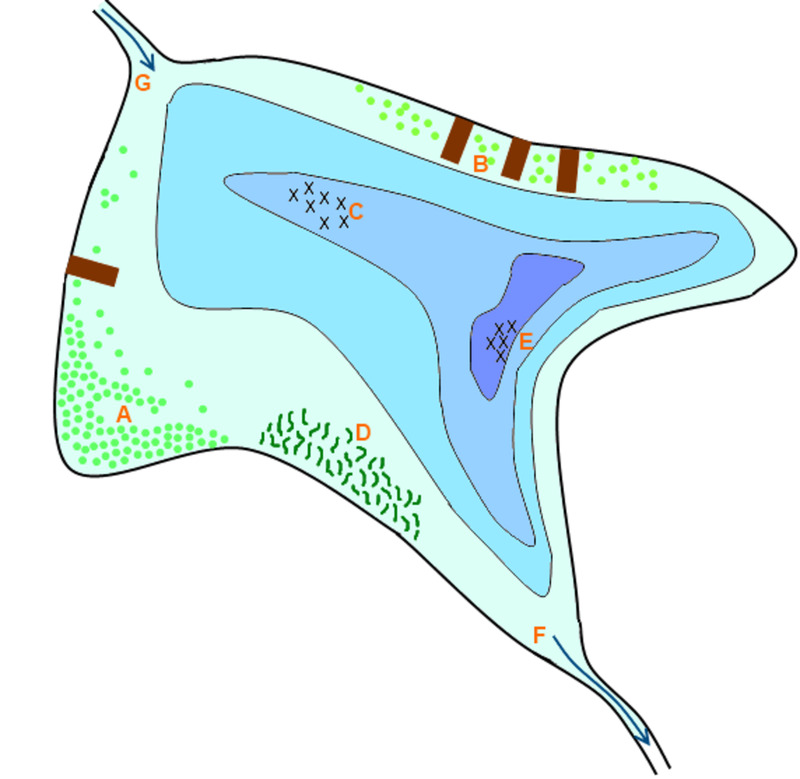 Map and info for Hoffer's Lake. I just found out about the canal! I live near grand forks and would like to catch my first smallmouth. Maybe in spring. Good luck, Ryan. The bass have biting hard on live frogs this week. I've had great luck on the canal south of Highway 200. Thanks for all the great tips. I will be taking my kids (first time fisher people) fishing this weekend. We will try some of your hot spots! ND is beautiful country. I'll have to get some fishing in next time I'm up that way. Thanks Writer Fox. I plan on doing a series about fishing in ND. It will be a lot of fun to "research". Great pictures and great catches! 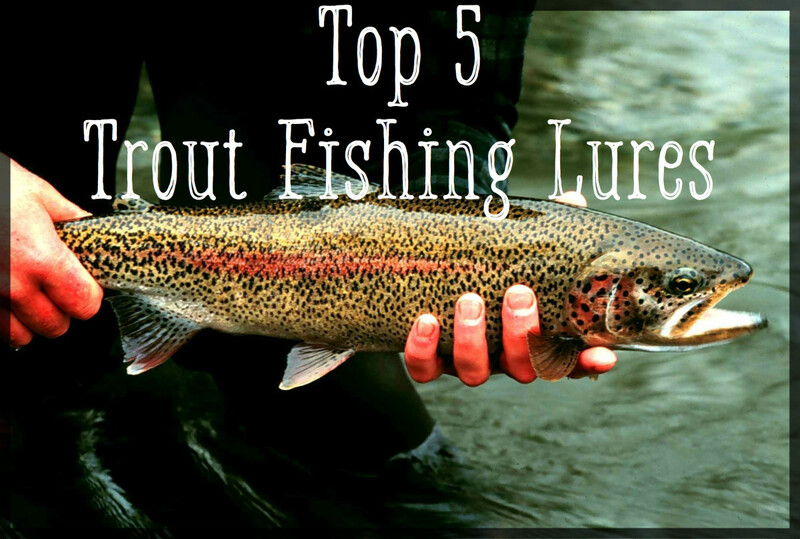 I think many in North Dakota will appreciate the tips you shared on where to catch the most fish. Enjoyed and voted up!